Ready to start planning your remodel project? The kitchen is truly the center of every home. Whether you share a cup of coffee. a leisurely breakfast, or prepare meals for your family, the love that you pour into everything you serve is inspired by your surroundings. 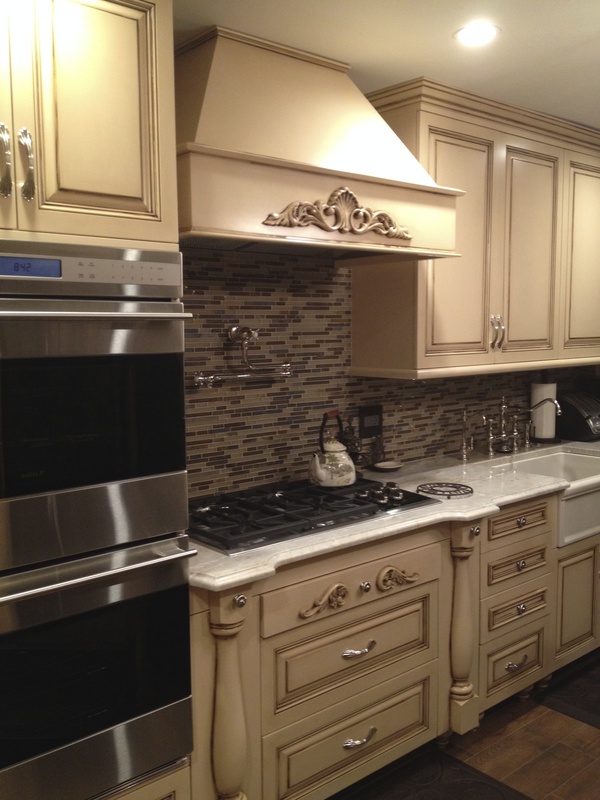 Chris Caputo initially met with this West Caldwell NJ customer to discuss her thoughts about the remodeling of the kitchen, it was evident that she knew exactly what she was looking for and Chris wanted to be sure she got it. During the many conversations, certain realizations took place. Typically, a homeowner may sit down and calculate a budget, at least as a starting point, in designing a kitchen remodel project. This client was no different. This was the 3rd such kitchen remodel renovation that the homeowner designed, created and saw through...over a 34 year period of time. Upon the start of the project David Caputo coordinated the skilled craftsmen that participated in the renovation with great attention to detail, ensuring complete client satisfaction. This kitchen remodel client knew exactly what she was looking for...and as the conversation continued, there were some discoveries along the way that impacted the original plan. Designed for style and function, this kitchen has self-closing drawers and cabinets, pull out spice storage, tray cabinets, glass and slate backsplash tile, quartzite granite surfaces and hand distressed custom made free-standing wood furniture pieces that take the place of traditional cabinetry for that extra special look. Nothing was overlooked. The stunning french-inspired 'mini-island' provides storage for all dairy bakeware including utensils, measuring cups and spoons, brownie and cake pans galore, cookie sheets and anything else one might need to whip up a delectable dairy dessert, pie, cake, cookie, muffin and more...All within easy access to the double convection ovens and steam convection oven. G&L monitored all processes to ensure a smooth project, including a guaranteed and "kept-to" end date. Great effort is required in designing a kitchen. But, at the end of the day, the pleasure derived by the results clearly outweighs the effort. G&L and Sons Renovations, LLC.